Is There Hope for Any of the Unsaved Dead? (10) We now continue this discussion with a tenth reason for hope on behalf of some of the unsaved dead. The Bible teaches that during the Millennium the curse that Adam brought upon the human family will be gradually removed, requiring the entire thousand years for its completion. Rev. 21:3-5 proves that this will come to pass through the presence of God's Tabernacle (Christ and the Church — "which temple ye are"; 1 Cor. 3:17; Eph. 2:19-22) on earth among men. Rev. 22:1-3 proves this through the presence among men of the Throne of God and of the Lamb (God's royal authority exercised by Jesus and the Church), the River of Life (God's pure Word), and the Tree of Life (Jesus and the Church). 1 Cor. 15:24-26 shows that the Kingly power of Christ during His Reign will extirpate every effect of Satan's usurpatory rule and activity among men, chief among which are sin, death and the grave. 1 Cor. 15:54-57 shows that the Church will share with Jesus in achieving this victory over sin, death and the grave on behalf of the race; and Hos. 13:14 shows that it will all flow from the Ransom-sacrifice of Christ. Glory be to God for such a glorious prospect! This consideration shows that an opportunity for salvation awaits those who did not have such an opportunity in this life; for these all died under the curse, and its destruction implies that it will no longer extend over anyone. (11) The next proof we give is that the Bible teaches that God through Christ will bless the non-elect, living and dead, with an opportunity of obtaining restitution (Acts 3:19-21). Restitution (or, restoration, ASV) means a return to an original estate. The original estate of the human family was the image and likeness of God, as these were exemplified in Father Adam and Mother Eve. By the image of God we understand the perfection of being, the condition of being "very good" in God's sight, to be meant (Gen. 1:26, 27, 31; Psa. 8:4-8; Heb. 2:6-8; Col. 3:10; Eph. 4:23, 24); and by the likeness of God we understand man's rulership over the earth, even as God is Ruler over the Universe, to be meant (Gen. 1:26, 28, 29; Matt. 25:34). The image of God implies perfection in the physical, mental, moral and religious faculties. Adam and Eve, before the fall, and Jesus, when on earth, were examples of this perfection (Heb. 2:6-9). The likeness of God implies a perfect earth with perfect rulers in charge. But as St. Paul implies (Heb. 2:8), the image and likeness of God (the original perfection of being and rulership) have been lost; and in the place of the image of God has come physical, mental, moral and religious degradation. In the place of the likeness of God has come the tyranny of the cursed earth (Gen. 3:17-19) over man, greatly oppressing him, until it extinguishes his life. All this the Scriptures assure us came upon mankind because of the sin of Father Adam (Gen. 3:1-24; Rom. 5:12-21; 1 Cor. 15:21, 22). Now the human family is but a wreck of what it was in Adam and Eve. This sad, undone condition of our race has deeply appealed to the compassion of our Creator, who amid the sentence of His displeasure (death, not eternal life in torment) has remembered His mercy toward fallen and condemned man in sending His well-beloved Son into the world as man's Ransom-price from death (Matt. 20:28; 1 Tim. 2:4-6; John 3:17; Rom. 5:7, 8, 16-19. For a thorough examination of the Scriptures on the subject of hell, including those texts some use to try to prove it is a place of torture in fire, please see our booklet, The Hell of the Bible, price). As Christ's First Advent was to lay down the Ransom-price (the Gospel Age, forming a parenthesis for the selection of His Bride between His two Advents, has been to make its blessings available only for His Church), so His Second Advent is to make the Ransom-price available for the recovery of the non-elect, in a restitution, a return to the original estate, from the ruins of the lost image and likeness of God brought upon all by heredity through Adam's sin. Thus the death of the sinless Jesus provides merit sufficient for the deliverance of all from the demerit of Adam's sin, and guarantees an opportunity to obtain full deliverance from its effects, a restitution to the original Adamic perfection. And it is to effect the restoration of the glorious image of God, to offer the race perfect bodies, minds and hearts, and to effect the restoration of the marvelous likeness of God (i.e., to offer the race a perfect rulership over an Edenic earth) that Christ returns to this earth. All who will obey the reasonable requirements of Christ's Millennial Kingdom will obtain all these blessings. And to obtain their share in them all of the dead who were excluded from the opportunities of becoming members of the elect (to which only the faith class, those who can walk by faith, trusting where they cannot trace God, have been invited) will be awakened and brought back on this earth; for why should that part of the unbelieving class which happens to live at the time of Christ's Return be favored with opportunities of restitution, and that part of the unbelieving class which happened to die before that time be excluded from these blessings, since God's ways are equal and impartial (Ezek. 18:29-32), and since death does not of itself fix character? Acts 3:19-21 testifies: "Times of refreshing [this word is used to denote the re-enkindling of life and the promotion of growth effected by rain falling upon mown and burnt grass, to which the fallen human family is compared (Isa. 40:5-8), and which is expressly stated to be the effect of Christ's Reign upon our race, mown down by the curse, and burnt by the fierce rays of sin (Psa. 72:6, 16)] shall come from [on account of] the presence of the Lord [the Greek for presence here means face, i.e., favor (Num. 6:24-26); for during the reign of sin God's back, not His face, is represented as turned toward man (Jer. 18:17); but during the Millennium, as this passage indicates, He will turn His face toward mankind, beaming with grace, mercy and truth for mankind's restoration. Please note that this is represented in the next verse as being associated with Christ's Return]; and he shall send Jesus Christ, which [who] before was preached unto you, whom [Christ] the heaven must receive [retain—how long?] until the times of restitution of all things [every feature of the image and likeness of God is to be restored to the willing and obedient in the Millennium], which [things] God hath spoken [promised] by the mouth of all his holy prophets since the world began." This passage expressly teaches us that Christ does not return until the Times of Restitution, the Times of Refreshing; therefore He returns to restore the willing and obedient of the race to the original perfect condition, and to refresh them with it. St. Peter tells us that this is the testimony of all the holy prophets. Acts 15:14-17 is another passage to the point: "Simeon [Peter] hath declared how God at the first [beginning at the home of Cornelius (Acts 10) ] did visit the Gentiles, to take out of them a people [the Church, Christ's Body] for his name [the Jews, expecting but one Advent of the Messiah, had difficulty in reconciling their hopes of His glorious Reign with sending the Gospel to Gentiles; St. James harmonizes the seeming contradiction by pointing out that there are two Advents, that the time parenthesis between them is filled in by the selection of the Bride for Christ from among Jews and Gentiles, that after this will come Messiah's glorious Reign, and that this view of matters harmonizes the facts with the Scriptures]. "And to this agree the words of the prophets; as it is written [there is no contradiction between the teaching of the selection of Christ's Bride and His blessing the world of mankind; all that is needed is that they be kept separate and distinct as to the time of their operation: first the Bride is selected, then come the Second Advent and the Reign of blessing], After this [after visiting the Gentiles to select the Bride] I will return [the Second Advent begins], and will build [erect in royalty] again the tabernacle of David [the house, family of David, in great David's greater Son, Jesus], which is fallen down when Zedekiah, 607 B.C., was dethroned, David's royal house fell down, i.e., it ceased reigning]; and I will build again the ruins thereof [with and since the fall of David's royal house, Israel as a kingdom has been in ruins; but this kingdom is to be restored at the Lord's Return, after the testimony would be given in all the world for the selection of the Bride of Christ (Acts 1:6-8)], and I will set it [the Kingdom] up [ why does He return and establish the Kingdom? ]: that the residue of men [residue means that which is left after a part is taken out of it; the residue of men, therefore, means all not taken out as prospective parts of the Bride, i.e., the whole non-elect world, living and dead] might seek after the Lord, and [Greek, even] all the Gentiles [Greek, nations] upon whom my name is called." There is a difference between the "people for his name" and "all the nations upon whom my name is called." It is the very same difference that exists in the way in which a wife is called by her husband's name and in the way in which a piece of property has in the deed its owner's name put upon it. This passage clearly shows that our Lord with the completion of the Bride's selection returns to establish God's Kingdom, and to bless all those who were passed by and left unhelped while her selection was being made. Therefore it implies blessings for the non-elect dead, as well as the non-elect living. Another pertinent passage is 1 Cor. 15:21-26, which we will quote from the ASV, one of the best of all translations: "For since by man [Adam] came death [the death (dying) process, as well as the death state], by man [Christ] came [shall come] also the resurrection of the dead [the awakening from the death state and the re-standing out of the dying process—the reversal of what Adam brought upon us]; for as all in Adam die [come under the Adamic death curse ], so also all in Christ shall be made alive [be brought out of the Adamic death curse into perfection—life]. "But each in his own order [shall be made alive—perfect] ; Christ the firstfruits [shall be made alive—perfect; this Christ cannot be Jesus, because He had been resurrected about 25 years before St. Paul penned these words, while he speaks of a future resurrection; the Church, which is also with Jesus called Christ — anointed — (1 Cor. 12:12, 13; Gal. 3:16, 29), is obviously here meant; and thus the first resurrection (Rev. 20:4,6) is meant]; then they that are Christ's, at [during] his coming [shall be made alive; the margin gives presence as the proper meaning of the Greek word parousia, used here; He will be present a thousand years—the Millennium—during which those who will become His by faith and obedience will be made alive—perfect—after they are awakened and brought forth from the tomb; this refers to the dead world coming back from the tomb, and arising unto perfection during the Millennium as they believe and obey and continue to do so]. "Then cometh the end [the Little Season, after the thousand years are over (Rev. 20:7-9)], when he shall deliver up [vacate the Mediatorial throne of] the kingdom to God, even the Father; when [after] He shall have abolished [destroyed] all [effects of Satan's] rule, all [expressions of Satan's] authority, and all [works of Satan's] power [Christ's Reign is thus intended to destroy all the works of Satan—sin, error, sorrow, pain, sickness, death and the grave (1 John 3:8; Rev. 21:4, 5); to destroy the grave means to awaken all the dead; and to destroy death means to deliver all out of the dying process; the order of procedure would then be, first to destroy the grave by awakening the dead, and then gradually by restitution processes to undo every feature of the dying process: Adamic sin, sorrow, pain, sickness, the curse on the earth, etc.]. "For he must reign, till he hath put all enemies under his feet [the various features of the curse are these enemies; for Paul enumerates in the next verse death as one of Christ's enemies—to put them under His feet means to dominate them unto utter subjection—destruction]. The last enemy that shall be abolished [destroyed] is death [not the death state or the grave, which by the awakening of the dead will be destroyed before sin, pain, sorrow and sickness, but the dying process—the imperfection brought by the Adamic sentence upon all; the annihilation of its last vestiges will complete the work of the Millennial Kingdom; therefore death will be the last enemy destroyed]." The death mentioned in v. 26 is thus seen to be the Adamic, not the Second Death, as some have supposed. As we have already seen, v. 24 assures us that the end of this Mediatorial Reign will not come until Christ has overthrown in the race every effect of Satan's rule, authority and power through sin. V. 25 is a quotation given to prove that such is the purpose of Jesus' Reign. All the effects of Satan's rule, authority and power are spoken of in this verse as Jesus' enemies; and v. 26 naming death as one of these enemies, we are thus given the understanding of what all of them are. These enemies are thus shown to be the devastating effects of Satan's reign over the earth—sin, error, sorrow, pain, death, hades. These are the enemies of Jesus because they injure the race that He died to redeem. Therefore we see that the enemies here referred to are all the effects of Adam's sin; and the Adamic death is the First Death, not the Second Death. The thought of 1 Cor. 15:24-26 is given in other language in Rev. 21:3-5; 22:3; and the death and curse which are there spoken of as being no more are undoubtedly the Adamic death and curse. Moreover, the Second Death is not an enemy of Jesus or of the human family, but is rather a friend and servant, that will swallow up their enemies, even as the type of the Second Death—the Red Sea—was a friend and servant of Moses and Israel, when it afforded protection to the Israelites in their passage of it, but swallowed up Pharaoh and his pursuing hosts, leaving Israel safe and triumphant on its eastern shore. We see, therefore, that the expression "the last enemy" in 1 Cor. 15:26 does not refer to the Second Death; it refers to the Adamic death—the First Death. The expression, Adamic death, includes every vestige of imperfection that Adam's sin has brought upon the race. Evidently the expression here does not mean the Adamic death state; for long after all will have returned from the tomb, from the Adamic death state, there will still be imperfection in the human family. The Adamic death process is therefore here meant by the term "the last enemy." When the last vestige of imperfection resulting from Adam's sin will have been wiped out of existence by Christ's all-conquering restitution power and works, the "last enemy" will have been destroyed, which will end the restitution work. Thus this passage likewise clearly demonstrates that the non-elect dead, who were excluded in this life from the opportunity of obtaining the elective salvation, will be awakened from the dead during the Millennium, and will be given the opportunity of gaining the restitution salvation. Rom. 8:17-21 shows that the whole human creation under the effects of the curse is kept waiting for deliverance until Christ and the Church as God's Sons are manifested in glory for this work (see also Col. 3:4). 2 Thes. 1:10 shows that Jesus returns not only to be glorified in His saints, but to be admired, worshiped, by those who will believe in that day, the Millennial Day of a thousand years. A similar thought, based upon the picture of the Israelites waiting for the high priest to come out of the Tabernacle at the conclusion of the sacrifices (Lev. 9:22) to bless them, is given in Heb. 9:28, where Christ is represented as coming again for the blessing of those who await Him, which according to Rom. 8:19, 21 includes the entire human family. Psa. 22:27-29 is a glorious testimony to this thought (see ASV): "All the ends of the earth [the entire human race] shall remember [their present experience with evil and the Word they will then learn, so thoroughly as not to forget them (Jer. 31:33, 34)] and turn [be converted] unto Jehovah; and all the kindreds [every family] of the nations shall worship [serve] before thee [in Thy interests]. For the kingdom is Jehovah's, and he is [shall be] the ruler over the nations [this is surely a description of the Millennium; for until the Millennium the kingdoms of this world will hold sway, and only then will give way to the Kingdom of God (Rev. 11:15)]. All the fat ones [those full of loving zeal] of the earth shall eat [appropriate the Millennial blessings] and worship [return service therefor to God]: all they that go down to the dust [the dead] shall bow before him [the verse now proceeds to define those who go down to the dust], even he that cannot [because of the Adamic sentence] keep his soul alive." This last verse shows that the non-elect dead are referred to; for they are the ones who cannot, because of the Adamic sentence, keep their souls alive. According to this passage, they are to bow down to the Lord as the Ruler of the nations, which must be during the Millennium, the time of His rulership. Psa. 86:9 testifies likewise: "All nations whom thou hast made shall come and worship before thee, O Lord; and shall glorify thy name!" Many of the nations that God made, like the seven nations of Canaan, the Assyrians, the Babylonians, etc., no longer exist; yet they were made by God, but did not in this life worship and glorify Jehovah. Therefore, in order to do so, they must be awakened from the dead and be taught and enabled to worship and glorify God—a Millennial work. Isa. 29:18, 24 is another passage to the point: "In that day [the Day of God, the Millennial Age] shall the deaf [those who in this life have their ears of understanding closed so that they cannot now understand the things of faith (Matt. 13:9-17)] hear [understand] the words [teachings] of the book [the Bible; Isa. 35:5, 6], and the eyes of the blind [those who in this life could not perceive the things of faith] shall see out of obscurity [the mixture of truth and error in which they are in this life], and out of darkness [total error . … They also that erred in spirit [went astray in error and misconduct] shall come to understanding, and they that murmured [because of the rigors of the curse under which they lived and died—hence the non-elect dead] shall learn doctrine." This passage teaches that in the Kingdom those who in this life could not perceive and understand the things of faith, who lived in error and, under the curse, murmuringly groaned unto the end (Rom. 8:22), will see and understand the Truth and be delivered from partial and total error. Isa. 35:4-10 and Dan. 7:13-14 show the same glorious blessings resulting from Christ's Second Advent. And the blessings that the returned Lord will give the race in its living and dead members are most eloquently, beautifully and comfortingly set forth in Psa. 72:1-19. Isa. 25:6-9 is another beautiful summary of the Kingdom work following our Lord's Return. The glorious feasts of uncontaminated and nutritious Truth are described in v. 6; while, as a part of the Kingdom's work, the destruction of sin and error is described in v. 7 (see 1 Cor. 15:55,56, where the question, "O death, where is thy sting [sin]?" implies the answer, "Nowhere," for it will then be out of existence). V. 8 shows that both the dying process and the death state will be utterly blotted out of existence, with all tears and the persecution of the righteous, through the glorious Kingdom of God, which Christ returns to establish. See St. Paul's comment on v. 8 in 1 Cor. 15:55-57 and his description of the same thing in 1 Cor. 15:21-26, already examined. Please compare v. 9 with Rom. 8:19, 21. Rom. 14:9 (ASV) testifies: "To this end [for this purpose] Christ died [as the Ransom for all (1 Tim. 2:6)], and lived again, that he might be the Lord [Ruler in the Millennium] of both the dead [all Adam's lost race, whether in the tomb or not] and the living." Phil. 2:6-8 describes Jesus' sacrificial death; vs. 9-11 tell of His exaltation and its results; and vs. 10, 11 state: "That at the name of Jesus every knee should bow, [the knees] of things [persons; the Greek applies to persons or things, persons evidently being meant here] in heaven [the heavenly host bows to Him], and [the knees of] things [persons living] in earth [this is future—in the Kingdom; for all knees on earth do not now bow to Him], and [the knees of] things [persons] under the earth [the dead race who are in their graves, and who will be brought back from the unconscious state of death, and then, as having been under the earth, dead, will bow to Jesus]; and that every tongue [in heaven, on earth and under the earth, the living and the dead] should confess that Jesus Christ is Lord, to the glory of God the Father." See also God's oath on this very point, in Isa. 45:22, 23, and remember that the oath to this thing is based upon, and is explanatory of, the Oath-bound Covenant (Gen. 22:16, 18), by which God bound Himself to Christ and the Church, the Seed (Gal. 3:8, 16, 28, 29), to use them to bless all the families, nations and kindreds of the earth, resulting in the whole earth becoming full of His glory (Num. 14:21; Psa. 72:19; Isa. 11:9; Hab. 2:14; Matt. 6:10). And since the vast majority died unblessed, this passage implies their awakening for this blessing. Thus we see that as an eleventh proof, the Bible teaches that God through Christ will bless the whole human family, living and dead, with opportunities of restitution. (12) A twelfth reason for hope for those of the unsaved dead who did not have their opportunity for salvation in this life is that God through The Christ, Head and Body, will destroy from among men every evil thing and influence, and introduce and establish among men every good thing and influence. Our Lord Jesus was manifested to destroy the works of the Devil (1 John 3:8), and He will do this during the Millennial Age. To accomplish it He will bind Satan and his angels and thus prevent them from having any more influence among men. Rev. 20:1-3 describes this binding work: "And I saw an angel [Jesus] come down from heaven, having the key [the power to lock or unlock, to open or close] of the bottomless pit [the condition of error, which has no real foundation, no bottom] and a great chain in his hand [powerful secular and religious truth]. "And he laid hold on the dragon, that old serpent, which is the Devil, and Satan, and bound him a thousand years [restrained him by various truths that refuted his corresponding errors, so that he could no longer deceive and mislead mankind at his will], and cast him into the bottomless pit, and shut him up, and set a seal upon him, that he should deceive the nations no more [thus keeping him (a) in the darkness of errors and speculations of his own making, (b) from learning any further truth and (c) from tempting mankind into sin and error], till the thousand years should be fulfilled: and after that he must be loosed a little season [during a short period after the Millennial Mediatorial Reign of Christ, Satan will be allowed to deceive mankind again and bring upon them their final testing as to worthiness or unworthiness of everlasting life]." In addition to restraining and imprisoning Satan and his angels, our Lord will Millennially restrain evil men from in any way taking advantage of and injuring others (Isa. 11:9; 26:9; 28:17). Those who do not even externally reform will after 100 years of opportunity be cut off in the Second Death (Isa. 65:20). God through The Christ will Millennially destroy Adamic death and its power and effects over mankind (Isa. 25:7), including sin, error, superstition, sorrow, pain, sighing, crying, sickness, scarcity, famine, pestilence, drought, extreme heat and cold, war, revolution, anarchy, oppression, poverty, ignorance, dying and death. The Millennial destruction from among men of every evil thing and influence, in order to restore the willing and obedient of mankind to human perfection, surely gives hope for eternal life on earth for the unsaved dead who did not have an opportunity for salvation in this life. Those who reform outwardly, but without a heart reformation, will be permitted to live to the end of the Millennium and to attain to human perfection outwardly; but when Satan is then loosed in the "little season" to test restored mankind, they will be deceived by him and their unholy heart condition will become manifest in each case. They will be revealed as hypocrites, liars and deceivers, as using the Millennial opportunities selfishly, and not for the good of others. They will be the "old men" of Isa. 65:20 who will not have filled their days with good, and therefore will be destroyed, will "be no more." They will perish, be annihilated, in the Second Death, as will also Satan and his angels (Rev. 20:7-10, 15; Psa. 37:10, 35, 36, 38; 145:20; Isa. 1:28; Mal. 4:3; Matt. 25:41, 46; Acts 3:23). Additionally, God through The Christ will introduce and establish among men every good thing and influence, in order Millennially to restore the willing and obedient of mankind to human perfection. They will introduce the opposites of the above-mentioned features of the Adamic curse, the reverse of the sentence and its power and effects: righteousness, truth, piety, joy, pleasure, ease, smiles, laughter, abundance, health, Edenic climate, prosperity, national and international peace, order, liberty, riches, education, awakening from the dead, convalescence and restoration to perfect life. The Plan of God, the character, training and powers of the Kingdom classes, and the social order, the rewards and punishments of that Age, will combine to realize these desirable purposes. And we may be sure that God's Oath-bound promise and Christ's Ransom-sacrifice and exaltation to bring about these blessed results, will bear fruitage in the success of God's Plan (Gen. 22:16-18; Num. 14:21; Isa. 45:22, 23; 53:11; John 12:32, 33; Rom. 5:18, 19; 1 Tim. 2:4-6). As the arrangements of Satan's kingdom have been conducive to the operation of the curse, so the arrangements of God's Kingdom will be conducive to the operation of the blessing of restitution from the curse. Praise our God for such a hope and prospect! We now give rather briefly nine other reasons proving that there is hope for the unsaved dead who did not have an opportunity for salvation in this life. (13) The Bible teaches that many of those who had no chance of obtaining the elective salvation will make a favorable response in the Millennium to the offer of salvation then prevailing. This is directly taught in Isa. 35:5, 9, 10; Ezek. 16:46-63. (14) The Bible teaches that all the elect will be required to assist the living and the dead non-elect in the Kingdom Age to overcome their enemies and to gain their restitution inheritance, before they themselves will be privileged to settle in their own post-Millennial inheritance. This is shown by the 2½ tribes—Reuben, Gad and the half-tribe of Manasseh—which had their final inheritance on the east side of the Jordan being required to go to the west side of the Jordan and help the 9½ tribes to overcome their enemies and gain their inheritance there, before coming back to the east side to settle finally in their own inheritance (Num. 32; Josh. 1:12-18). The 2½ tribes represent the Little Flock (Reuben, the firstborn), the Great Multitude (Gad) and the Worthies (the half-tribe of Manasseh), who will be required to assist the non-elect (the 9½ tribes) in the Kingdom Age to overcome their enemies—their sin, error, selfishness and worldliness of mind and heart—and to gain their restitution inheritance, before they themselves will settle into and enjoy their post-Millennial inheritance. (15) The Bible teaching that the Millennial Age and the Judgment Day are identical proves that there is hope for the unsaved dead; for it proves that in the judgment Day only those things will be done which are to be done in the Millennium. The following passages prove the identity of the Millennium and the Judgment Day: 2 Tim. 4:1; Luke 22:29, 30; Matt. 19:28; Obad. 1:21; Jer. 23:5, 6; 33:14-16; Isa. 32:1; Psa. 72:1-4. All the dead, we know, will be raised early in the judgment Day (John 5:28, 29; 11:24; Rev. 20:11, 12). Consequently, all the dead will be raised early in the Millennium. In the Millennium all will be helped unto salvation; therefore in the Judgment Day all will be helped unto salvation. (16) That there is hope for the unsaved dead is evident also from the Bible teaching, already mentioned, that the word "resurrection" as applied to mankind means a "re-standing" from the fallen condition unto the perfection of God's image (Acts 26:23; Luke 20:27-38; Phil. 3:11,7-10; Acts 24:15; 23:6; 26:6-8). This fact implies an opportunity of salvation for unjust ones in the Millennium, as St. Paul says that not only will the just be resurrected (perfected) but also unjust ones (Acts 24:15). (17) The Bible teaching of two ways of salvation — a private, difficult one for the Elect, called the narrow way (Matt. 7:13, 14) and a public, less difficult one for the non-elect, called the Highway (Isa. 35:8), proves the same doctrine. The connection (Isa. 35:5, 9, 10) shows that this Highway will be for certain of the unsaved dead; and the whole chapter proves that it describes the Millennial Age. (18) The Bible teaches that under Jehovah, the great Shepherd (Psa. 23), our Lord Jesus, the good Shepherd (John 10:11), has two flocks, or folds, of His Sheep. First, there are Jesus Sheep of the Gospel-Age fold, made up from among both Jews and Gentiles (Eph. 2:12-15; Rom. 11), and secondly there are Jesus' "other sheep … which are not of this [Gospel-Age] fold [Matt. 25:31-36]," but which are of His Millennial-Age fold. He says, "Them also must I bring, and they shall hear my voice; and there shall be one fold, and one shepherd" (John 10:16; compare Eph. 1:10). (19) The Bible teaches that there are two "days" of salvation. First, the Gospel Age is "a day of salvation" (2 Cor. 6:2; see Rotherham, ASV, Diaglott, etc. ; that this is the correct translation can easily be seen from Isa. 49:8, from which it is quoted). Secondly, the Millennial Age is a great salvation day—God "hath appointed a day, in the which he will judge the world in righteousness by that man [Jesus] whom he hath ordained; whereof he hath given assurance unto all men, in that he hath raised him from the dead" (Acts 17:31). Then the elect Church, selected during the Gospel Age, will under the New Covenant (Jer. 31:31-34) restore the earth, the home for the non-elect, and bring forth the non-elect from the prisonhouse of death, "into the glorious liberty of the children of God" (Isa. 49:8, 9; 42:6, 7; Rom. 8:21). (20) The Bible further demonstrates that there is hope for the unsaved dead, by its teaching that the free grace salvation will operate after the elective salvation is completed (Acts 15:14-16; 3:19-21; John 17:21-23; Rom. 8:19-23; Rev. 22:17), even as the Millennium, the time for the operation of the free grace salvation, follows the Gospel Age, with its elective salvation now operating. (21) The Bible proves it finally by the teaching that ultimately all God's works will honor Him (Num. 14:21; Psa. 76:10; Rev. 5:13). This can be only when His glorious attributes operating in the outworking of His Plan will fully demonstrate His works and character to be and to have been harmonious—a fact that requires a full, fair opportunity of salvation for everyone. Thus we have presented 21 reasons in all, with Scriptural evidence for each one, proving that indeed there is hope for the unsaved dead, that there will be an opportunity to obtain salvation during Christ's Millennial Reign for the non-elect dead, who were not given the chance in this life to win the elective salvation. These 21 reasons in every case show that such non-elect dead will be awakened from the dead during Christ's Millennial Reign. How good is this wonderful Divine provision for the unsaved dead who in this life have had no opportunity or an insufficient opportunity for salvation! It is just like God, in His great wisdom, justice, love and power, to make such a wonderful provision through Christ for the non-elect to obtain it! How superior is His great Plan of Salvation for them to the teachings that they will be tortured forever in a fiery abyss, the creedal Hell, or suffer for centuries in a place called Purgatory, or that they will be saved by ignorance! The good tidings of great joy respecting God's provision for salvation for the world of mankind is the Gospel manward, as it was defined both by the Angel at Jesus' birth (Luke 2:10) and by the Apostle Paul (Gal. 3:8). This is why the Scriptures are so full of it. When the matter is understood it clarifies God's past and present dealings with the children of men. 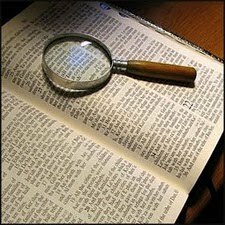 The Bible becomes in its light a book harmonious with itself, with God's character, Christ's Ransom, the holy Spirit's work, man's needs and with facts. It indeed is thereby demonstrated to be the depository of God's marvelous Plan of the Ages, as well as the glorious expression of His adorable character. He thus becomes loved by us with "love Divine all love excelling," and with "joy of heaven to earth come down." Let us worship, praise and adore Him, all whose works praise (reflect credit upon) Him. "Great and marvelous are thy works, O Lord God, the Almighty; righteous and true are thy ways, thou King of the ages [or, nations]. Who shall not fear, O Lord, and glorify thy name? for thou only art holy; for all the nations shall come and worship before thee; for thy righteous acts have been made manifest" (Rev. 15:3-4, ASV).